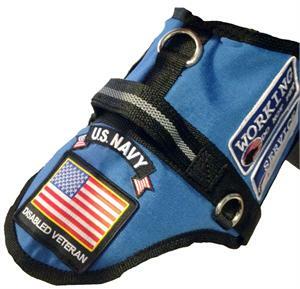 Working Service Dog offers a full line of products in honor of our great nation. Requests for products that show patriotism is overwhelming. In our experience we found there are a variety of reasons for people seeking patriotic gear. Many people are proud of our country and celebrate our national holidays that are dedicated to our country such as July 4th that honors our nations birthday or Veterans Day which honors all of our brave Americans that fought for our great country. Then there are heroes that risk their own lives to defend the freedoms that every American is afforded. We must always remember freedom is never truly free, there are men and women fighting and dying defending this country to protect our freedom. While our country is at a moment of great divide, I believe we are all united in the fact that there is no country better than the USA. Pride for country can be displayed in many ways small and large. Working Service Dog honors our country and those who protect it. 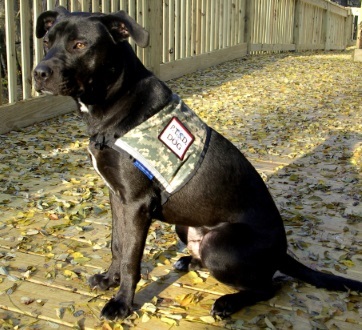 We are proud to support several organizations that work to provide Service Dogs to veterans suffering from PTSD and other phycological conditions. 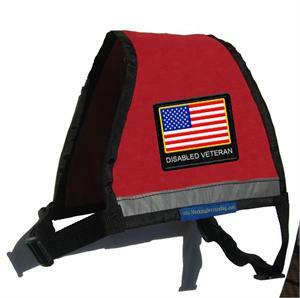 We offer a patriotic padded vest that includes an oversized embroidered patch featuring the American flag. 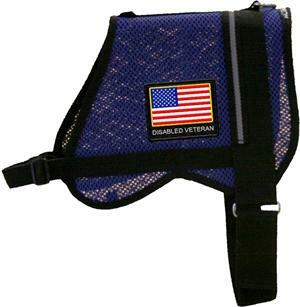 Other choices are a cool mesh vest with plenty of room for patches, or a zipper vest with a built in pocket. 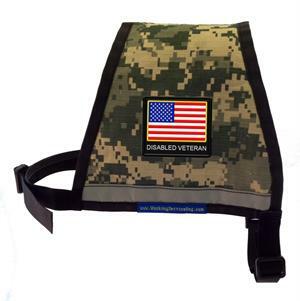 For our veterans, we have an awesome ACU digital camouflage vest made with a ripstop material. 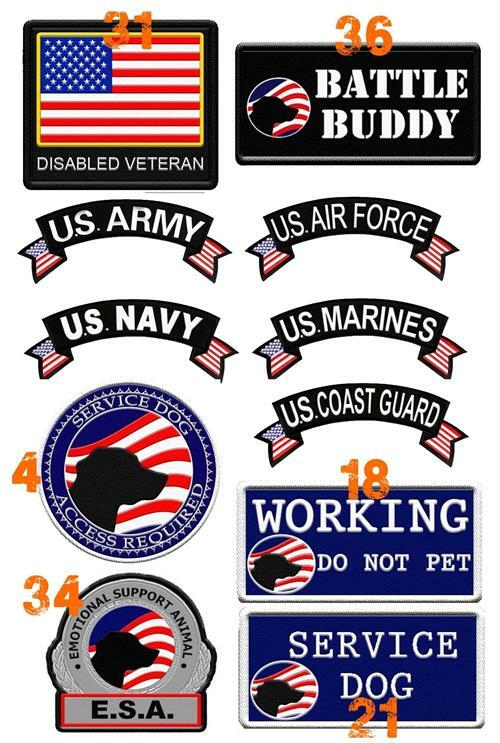 We have created a full line of patriotic patches including patches for each branch of service as well unique patches such as our battle buddy patch. 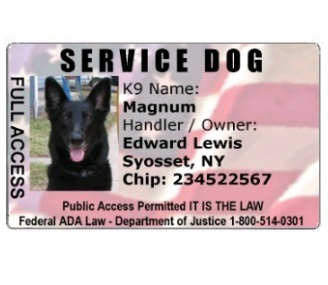 Many of our patriotic Service Dog ID badges proudly display the American Flag. 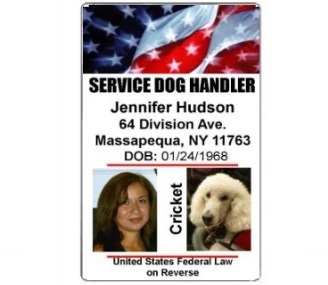 Both our Service Dog ID cards and our Service Dog Handler ID cards have the United States Federal Laws on the backside. To all men and women in uniform we honor you on this day and every day. Thank you for your service!